The low pressure area in the Southwest Bay of Bengal Sea area is still persists to the North of Sri Lanka. Due to the effect of above system rainy condition is expected to enhance over the island. Showers or thundershowers will occur at times over Northern, North-central and North-Western provinces. Showers or thundershowers will occur at several places elsewhere after 2.00 p.m. Fairly heavy falls about 100mm can be expected at some places in the Northern Province. 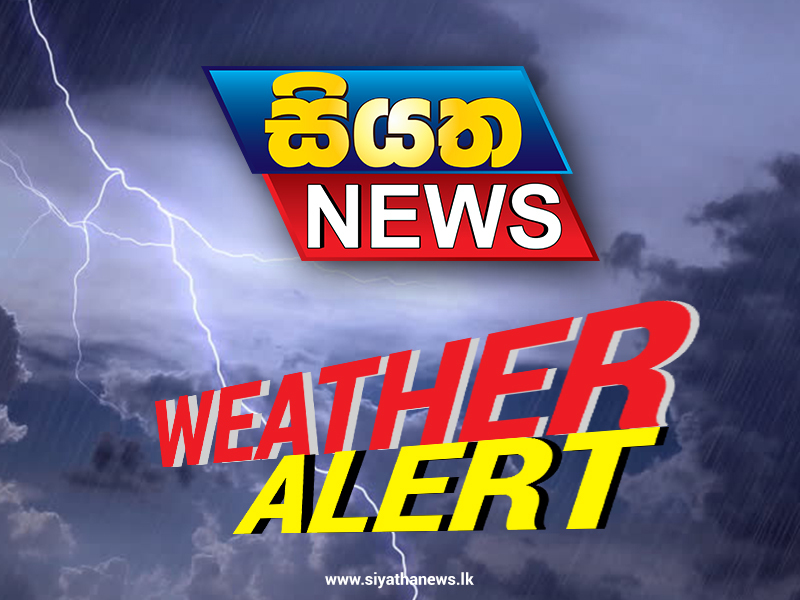 Fairly strong gusty winds about 50kmph can be expected over Northern Province.